Safe and easy to attach, Crescent pipe tongs release automatically when the pipe is in position. 16" Steel Crescent pipe tong with special belting liners to protect pipe coating. 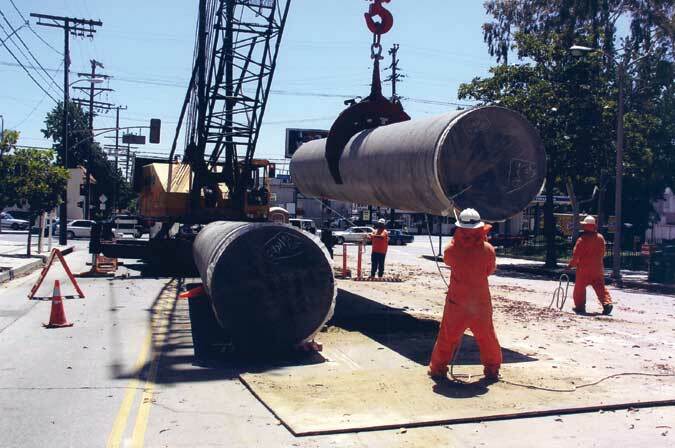 59" OD Pipe, 21,000 lbs. 40 feet long. Crescent Pipe Tongs are your answer for easy, safe and efficient handling of any type or size of pipe. They are a proven labor saving tool. Usable with virtually any type crane or excavator, they are easy to attach and release automatically with complete safety. 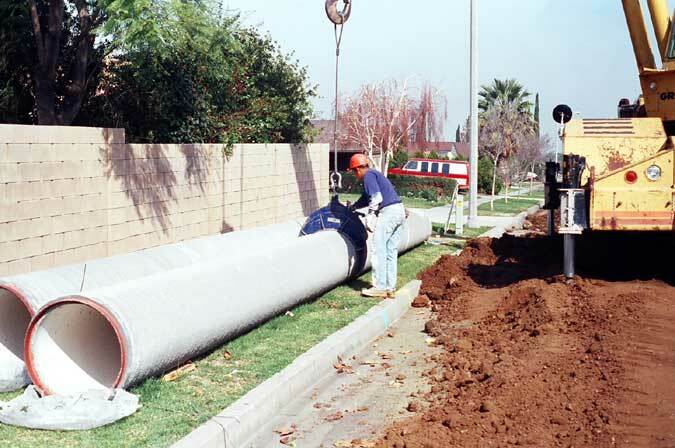 This speeds up job handling operations and allows placing of pipe in trenches of minimum working width. Crescent Pipe Tongs are manufactured with the highest quality certified materials and manufacturing processes in fabricated high tensile steel, available in dimensions from 4" to 48" pipe. Custom steel pipe tongs available on request. Each tong is stamped with a safety load limit (which should never be exceeded) and for enhanced safety has been built to withstand 3 times the rated load. All tongs conform to applicable state and federal safety standards, and comply with OSHA safety orders. Instructions for their safe and proper use are provided with each shipment of Crescent Pipe Tongs. 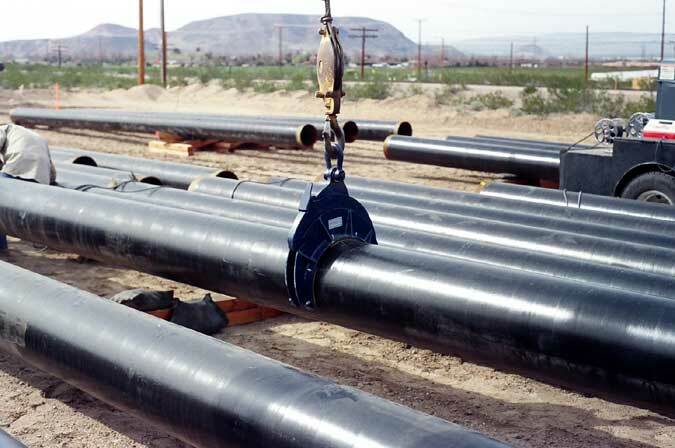 Crescent Pipe Tongs can be used for all: water pipe laying, sewer line work, gas main laying, oil and gas pipeline installation, pipe stringing operations, pipe and barstock handling in storage and loading and unloading pipe from trucks.